The strawberry needle crisis has spread to New Zealand. AUTHORITIES in New Zealand are investigating the discovery of a needle in a punnet of strawberries sourced from Australia. 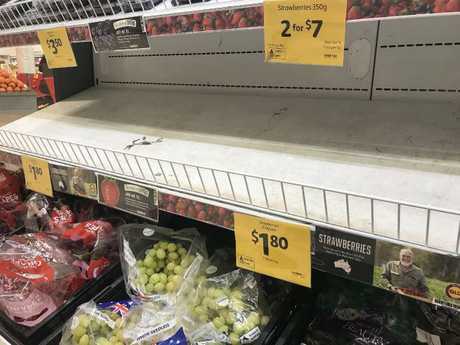 The supermarket chain Countdown, which is owned by Australia's Woolworths, has withdrawn all Aussie-grown strawberries from sale as a precautionary measure in response. 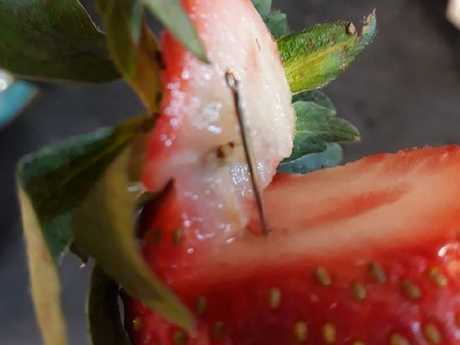 A customer at its Auckland store purchased a punnet of Choice brand strawberries, grown in Western Australia, and discovered needles in the fruit. It's not known when the contaminated product was purchased. 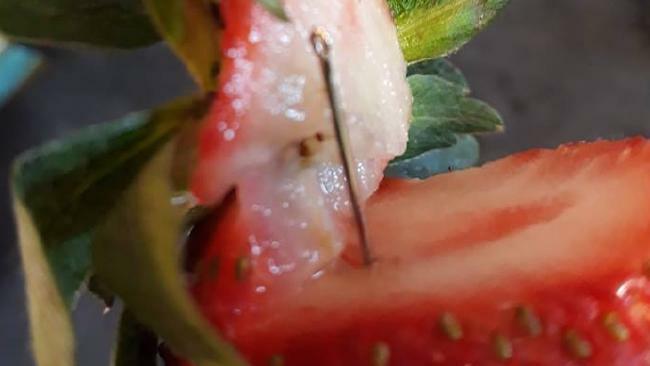 There have been more than 100 reports of needles found in strawberries and other fruit across Australia. Countdown also urged customers to cut up any strawberries purchased before eating them, echoing similar advice from Australian authorities. "Countdown is in contact with both New Zealand and Australian authorities as they investigate this matter," a spokesman said. "Customers can return any Choice brand of strawberries they may have at home to Countdown for peace of mind and a full refund." The company's decision to withdraw Australian strawberries from sale follows a similar move from the rival Foodstuffs retailer. The emergence of a sabotage scare across the Tasman is the latest blow for Australian fruit growers, who have been grappling with a plummet in demand and wholesale prices since the saga began. The first case of needles in strawberries was in Queensland, where authorities are now leading a nationwide manhunt. There have been more than 100 reports of needle contamination in strawberries as well as apples, bananas and mangoes. Authorities believe many cases are the work of copycats or are hoaxes. The government has rushed through tough new penalties for anyone caught contaminating food. It has also committed $1 million to assist struggling growers cope with the crisis, while Queensland has offered a $100,000 reward for information leading to an arrest. 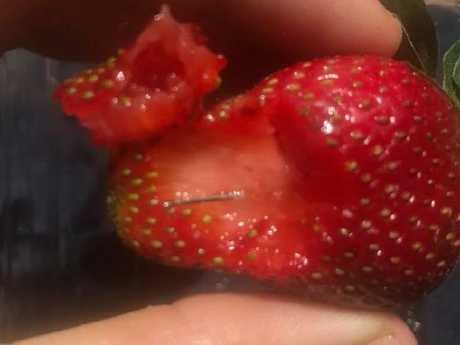 A woman in Gladstone in Queensland said she found two needles in one punnet of strawberries.